The ideas of the German philosopher Martin Heidegger have been described as an intellectual time bomb, as some of the most revolutionary thought in Western history. Despite the enormous amount of secondary scholarships available on Heidegger, it is � due to the complexity of his thought and the density of his writing � difficult for the curious beginner to gain an insight into Heidegger�s philosophy. 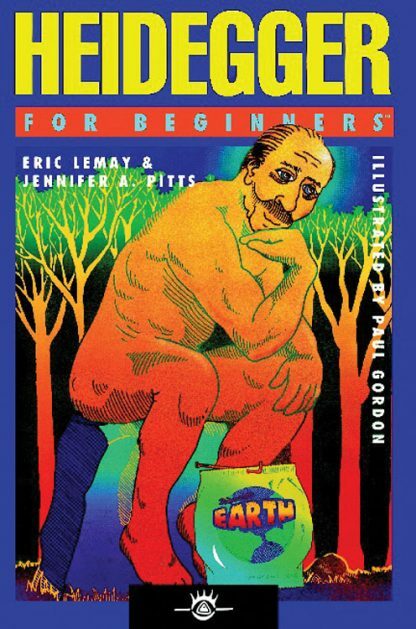 Heidegger For Beginners serves as an entry into the ideas of on of the 20th Century�s most important thinkers, situating Heidegger�s thought within its philosophical and historical context � alongside such thinkers as Plato, Descartes, Kant, Nietzsche, Husserl, and Sartre. Heidegger For Beginners explicates many of Heidegger�s central ideas, including the Nothing, average-everydayness, care, existence, being-in-the-world, the One, the critique of technology, anxiety, and most importantly, being � a notion which may offer us the key to understanding the very mystery of our own existence. Explained here in a way that makes it both accessible and relevant, Heidegger�s thought not only challenges an entire intellectual tradition, but also challenges our own self-conceptions, the very manner in which we, as humans, choose to exist.